Another busy week in #TeamAMR world with many teams making their final preparations and testing opportunities before they prepare to ship out for their first races of the year around the world. Academy Motorsport finally concluded their extensive tour of around the UK circuits seeing out their preseason testing at Donington today before their transporter pulled out of the paddock for its long journey down to Monza, Italy in time for their first races with their new machinery in the GT4 European Series. 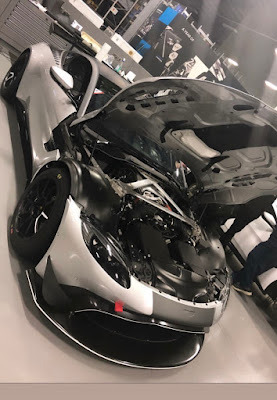 Picking up their second GT4 chassis from the Prodrive factory only earlier this week, today has also seen Will Moore confirmed as a full season co-driver to Matt Cowley instead of Team Principle Matt Nichol-Jones who had earlier offered his services so that the teams latest customer driver could fulfil his aspirational dreams of GT racing in Europe. 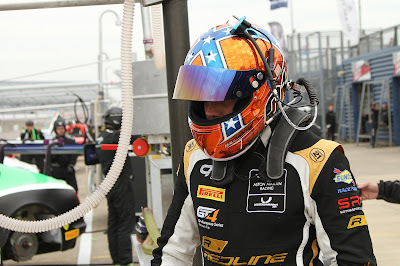 Moore and Cowley will be partnered in the Series with fellow team members Fiona James and Tom Wood. The two Academy AMR's will be joined in the Series with two further AMR Vantage GT4's each from Belgium team Street Art Racing and German team PROpeak Performance and a single (2016 specification car) from Generation AMR SuperDry Racing. The GT4 European Series will be supporting the Blancpain GT Series at Monza and in the main event we will of course be lucky enough to see the Aston Martin Racing contingent raise from the three cars of 2018 to the five cars of 2019 with the addition of two Garage 59 Vantage GT3's to the two of R-Motorsport and the one of long time series supporter Oman Racing by TF Sport. Garage 59 were testing at Silverstone this week with their Pro and Pro-Am cars bedecked in their stunning new liveries. 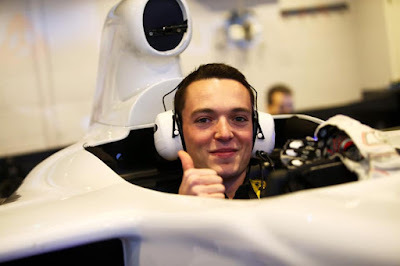 The only news ahead of this opening round appears to revolve around the availability (or not in this case) of Alex Lynn within one of the R-Motorsport cars (due to Formula E duties apparently) and his seat is reported to be replaced with that of team returnee Nicki Thiim. Swapping over to the other side of the world, the Japanese national Super GT Series starts next weekend and the two drivers and D'Station AMR Racing will be looking to emulate the performances of their sister car in the Pirelli Super Taikyu Series where their #777 car won the opening round of that series at Suzuka a couple of weeks ago. Competing in the opening round of the GT300 side of the Super GT Series, drivers JP de Oliviero and Tomonobu Fujii will be hoping that their progressive testing regime will put them into good stead against the 28 rival cars for the opening races at Okayama this weekend. 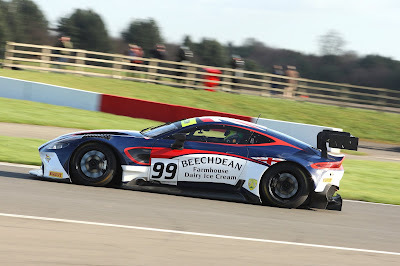 Final preparations within the Beechdean AMR camp are also ongoing ahead of their long journey down to the south of France in time for the Official Test on the 10th April and then first round of the 2019 Le Mans Cup next weekend. Team Principle Andrew Howard and co-driver Ross Gunn make a return to ACO rules racing with their #99 AMR Vantage GT3 hunting down that reward of an automatic entry into next years Le Mans 24 hours event - a tough prospect in the decent ten car class entry. Finally, for many of the twenty three selected drivers on the Aston Martin Driver Development programme, this week has also seen a continuation with their training regime at the Prodrive factory where they went trough their paces in dealing with the media!